Cooling, fruity and blue in colour. Named after the iconic Breaking Bad character, this flavour has become one of the most popular in the UK. 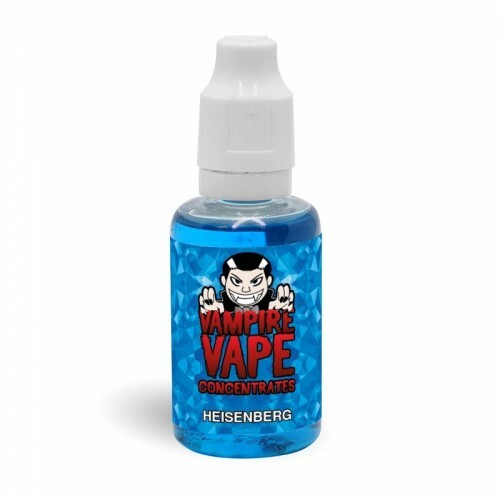 Heisenberg flavour concentrate by Vampire Vape is to be used in DIY e liquid and should not be vaped on its own. See our Guide to Mixing with Vampire Vape Flavour Concentrates for more details. Check out the EcigsUK review!